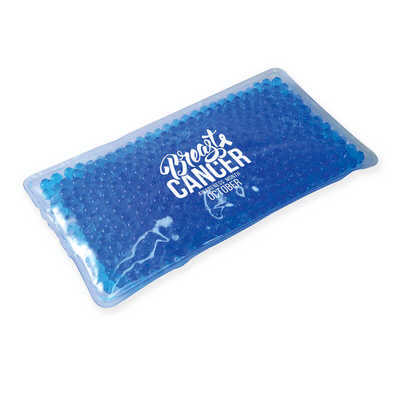 Reusable hot or cold gel pack for both hot and cold therapy. When used in accordance with the supplied instructions it will remain viable for up to one hour. Contains non-toxic gel beads. Instructions included. Colours - Blue, Clear Size - 185 x 100 x 10mm (LxHxD) Decoration Area(s) - Pad Print : 50 x 50mm (LxH). Price includes : 1 Col 1 Pos Print. Setup is included.